We were in the 1st Arrondissement of Paris at the Comedie Francaise, when we took these high definition photos showing a Monument to Aux Comediens Morts pour la France, which was sculpted by Felix Benneteau. 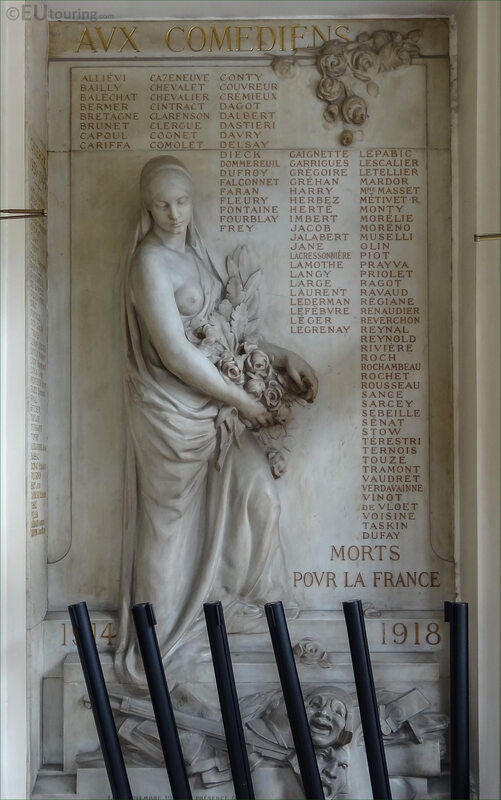 This first HD photo show the entire monument named Aux Comediens Morts our la France, which in English translates to The Comedians who Died for France, and on either side you will see there are the years of 1924 and 1918, that relates to World War I when all of these people listed in alphabetical order of their surname died. Here you can see a close up photograph showing the statue of the female figure classed as a relief, which is a part of this monument that was sculpted by Felix Benneteau, who was born in Paris in 1879 and studied at the Ecole Nationale Superieure des Beaux Arts winning the Prix de Rome in 1909 to further his studies at the Villa Medici in Italy. 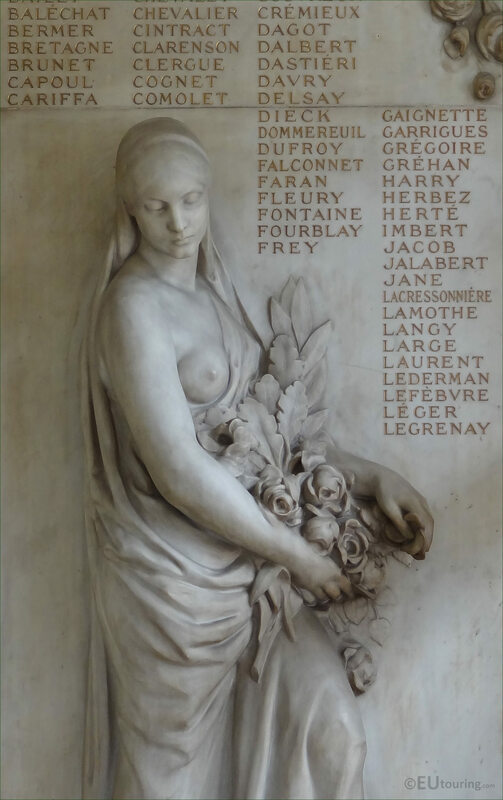 However, this image shows some of the names at the top of the Monument to The Comedians who Died for France, yet these people were also actors, etc, and Felix Benneteau, with a full name of Felix Benneteau-Desgrois produced several other monuments that were dedicated to the First World War. 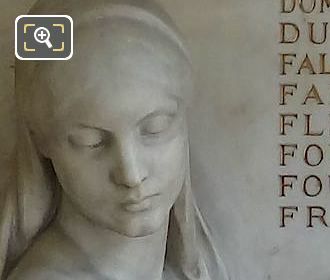 Unfortunately, we were unable to get a clear photograph of the bottom section of the Aux Comediens Morts pour la France monument, yet if you look very carefully at the bottom right hand corner, you can see where this has the name of the French sculptor, Felix Benneteau. To the left of this below the two traditional theatre faces you will see another inscription for when it was inaugurated, in the November of 19 something and who it was in the presence of, but unfortunately we never managed to get a clear enough shot, so if anyone knows, please feel free to tell us and help improve the site further.